A medical coding degree is also known as a medical records degree. Medical coding degrees allow you to have a profession as a medical coder, medical record keeper, health information technician, or a medical classifier. Medical coding is a healthcare profession that is concerned with the proper keeping and classification of records, which is incredibly important due to the large amount of data that is depended on for certain ailments and diseases. The field goes under the radar many times because careers in the medical field mostly focus on becoming doctors, nurses, surgeons, anesthesiologists, and other high-paying and high-profile positions. What exactly does the job entail and how can a degree be attained in medical coding? Below we’ve outlined some of the most crucial information to keep in mind when entering the field. There is a wide variety of different online or distance learning medical coding degree programs that you can choose from in order to attain the education necessary for these positions. There are both two and four year degrees available for medical coding, medical records, health information, and other related medical fields. Additionally, many of the required classes for medical coding are offered online. An added benefit of the two-year degree program is that you can often complete it and start working in the field while pursuing a four-year degree. Employers offer tuition reimbursement programs that can really ease the burden of juggling school and work until you’ve completed your degree. The CPC, or Certified Professional Coder, is the most important certification for a medical coder. It’s recommended that you have at least an associate’s degree in medical coding before taking the exam. Another exam available is the CPC-H. This exam is for those with a medical coding degree who would like to work in a hospital and other outpatient facilities. Typically you need to have high school courses in health, computer science, math, and biology in order to be admitted into a medical coding degree program, but most colleges also offer remedial coursework to fulfill requirements needed to get into these programs if you haven’t already met them. Students often overlook medical coding degrees, but those skilled at statistics will excel in this field. It’s a great way to get involved in the medical community without directly dealing with patients or working a high-stress position. When you start looking into internships and apprenticeships, it’s important to remember the options available in medical coding careers. Rasmussen College – Rasmussen College offers a fully online medical coding certificate program. The program prepares students to navigate health records and insurance invoices and to take the Certified Coding Associate exam. Purdue University – One of the nation's leading online universities, Purdue University offers online medical degree programs for those that want to become a Medical Office Administrator or office managers. Ultimate Medical Academy – Ultimate Medical Academy offers a variety of associate and certificate programs, including an online medical coding and billing program. This program is designed for those that want to become a medical coding and billing professional. Miller-Motte College – "Miller-Motte College’s Medical Billing and Coding program has helped students from the Cary, Morrisville, Durham and Apex areas start their new careers. Why wait another day? In as little as 15 months, you could complete our program, earn a certificate in Medical Billing and Coding and begin a new career." City College – "The healthcare profession is constantly seeking specialists who have expertise in medical billing and coding, as well as other medical administrative tasks. With the frequent change in insurance laws and coverage, this is a fast-growing field. The comprehensive Medical billing and Coding program at City College will prepare you for this rewarding career." Institute of Business and Medical Careers College – "As a Medical Billing and Coding Specialist, you will stand at the crossroads of healthcare and technology, making an important contribution to the delivery of quality care. In this profession, you will be responsible for assigning universally recognized codes to diagnoses and procedures." Branford Hall Career Institute – "Medical billers and coders (also called health claims specialists) are responsible for processing insurance claims for healthcare facilities. Medical billing and coding is a vital function for any healthcare facility where insurance is accepted. 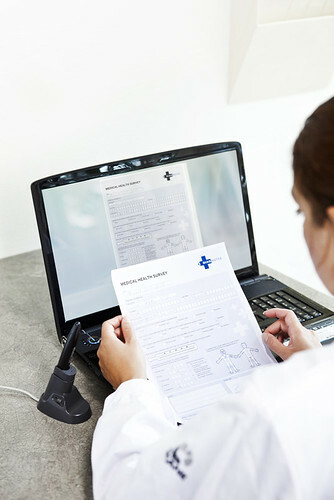 The healthcare industry relies on medical billing and coding specialists to keep accurate records, including patient treatment records, insurance information, payment plans, outstanding bills, and payments received." Laurus College – "Laurus College can help you work towards a career in the medical billing and coding field. You’ll learn different medical terminology, steps to analyzing forms and study diagnosis, supplies and procedural coding, electronic medical billing, and medical office management. Our mission is to provide every student with a quality education so thay can gain the fundamental skills in fields such as 3D Animation, Business, Computer Networking, Information Technology, Medical Billing, and Web Design."